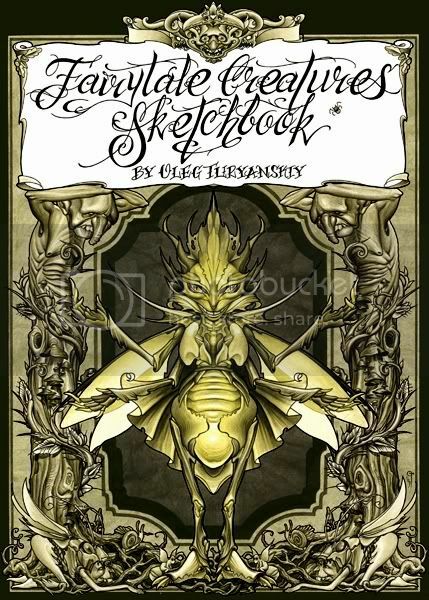 Fairytale Creatures Tattoo Sketchbook in a collection of ready to tattoo line works I'm glad to represent. Size: A4 (210 x 297 mm). Cover: High quality, full color, hard paper, protected with transparent plastic sheet. Inside: Light-green designer paper 160g/m2. All the drawings included in this Fairytale Creatures Tattoo Sketchbook were made in the end of 2010 - beginnig of 2011 period special for this project and had never been published anywhere before. The Fairytale Creatures Tattoo Sketchbook has 50 pages and contents 88 line drawigs influenced by fairytales from all over the world as well as represents creatures which were born in my imagination. 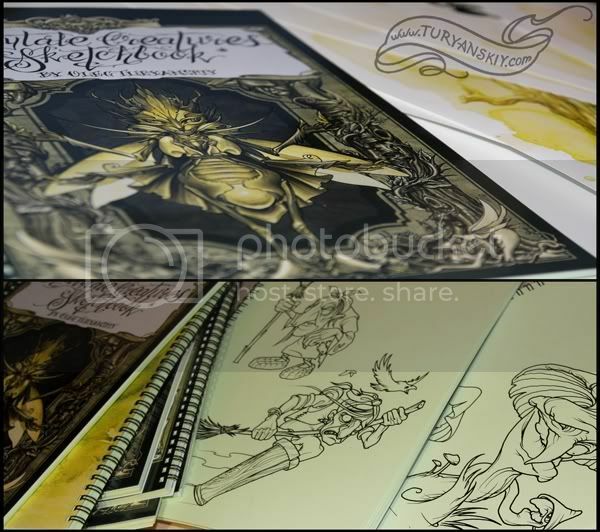 The presentation of my Fairytale Tattoo Sketchbook is going to be at Liverpool Tattoo Convention (May 14-15 of 2011) and limited number of copies will be awailable for purchase. It will be also awailable in store section here in June.